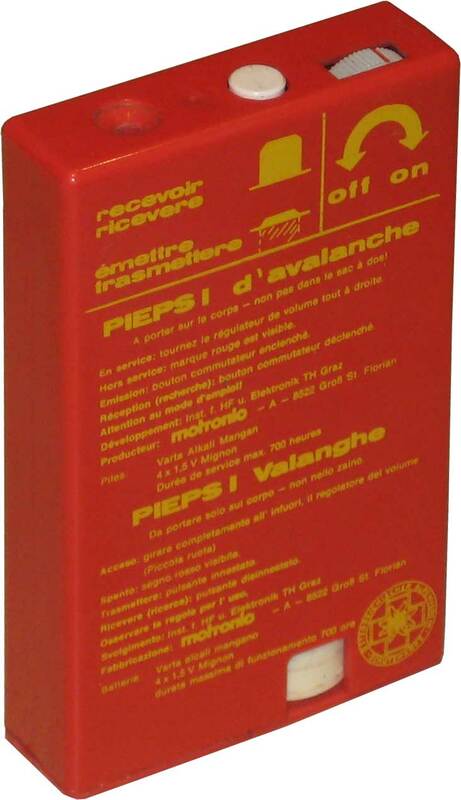 The Pieps 1 was discontinued in ~200x. In electronic years the Pieps 1 is Precambrian. It transmits and receives on the old 2.275 frequency, uses an easily bumped push button to switch between transmit and receive, has an awkward earpiece, etc. I'm thankful for the engineers who designed this, but if you own one, retire it yesterday. Pros: One of the first transceivers.